Founded in July 2011, the Anderson Institute's mission is to seek racial and ethnic justice in Arkansas. President Clinton's remarks on the launch of the Institute, July 10, 2011. Researchers from the University of Arkansas at Little Rock and the University of Arkansas Clinton School of Public Service are studying how politics and religion mesh in the 2016 presidential election. 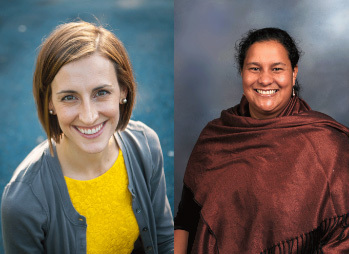 The nonpartisan study is led by Dr. Rebecca Glazier, UALR associate professor of political science, and Dr. Warigia Bowman, assistant professor at Clinton School of Public Service, to understand how the efforts of churches, mosques, and synagogues in Little Rock influence their communities and congregations. This study builds on a smaller study Glazier conducted during the 2012 presidential election. Research questions include: Do religious organizations that are more engaged in the community have congregants with higher levels of political efficacy? Do sermons on global political issues increase political involvement? Do churches that are locally active improve the community engagement of their congregants? Student researchers from both institutions will survey congregation members in Little Rock the Sunday before the presidential election (Nov. 6) to study how religious organizations influence their members and create a sense of community. Approximately 70 students from Glazier’s “Research Practicum on Religion and Electoral Politics” and Bowman’s “Field Research Methods” courses will participate in the study. The study provides student researchers with an invaluable opportunity to learn social and research skills that will give them an advantage in the competitive job market, Bowman said. Researchers sent surveys to 392 congregations and religious organization in Little Rock. Clinton Public School students conducted interviews with leaders of the 82 congregations that responded. Seventeen congregations were selected to participate in the Nov. 6 survey collection. The 17 houses of worship include four black Protestant churches, four Evangelical Protestant churches, three mainline Protestant churches, two Catholic churches, one Mormon church, one mosque, one Jewish temple, and one non-denominational Unitarian Universalist church. The results of the study will be presented during a community event in April 2017 that will include leaders of some of the participating congregations. For more information, contact Glazier at 501.569.3331 or raglazier@ualr.edu. Study and learn about race and ethnicity. View our annual surveys and conferences. Visit our award-winning civil rights trail. Download our award-winning civil rights app. Read about Arkansas civil rights history.